How do I upgrade to Basic Plus+ ? How do I upgrade to the volume license? Click on Manage > Locations > click on name > next to Status: Hotspot FREE BASIC, click on “Upgrade to Hotspot FREE BASIC PLUS+ today!” link. 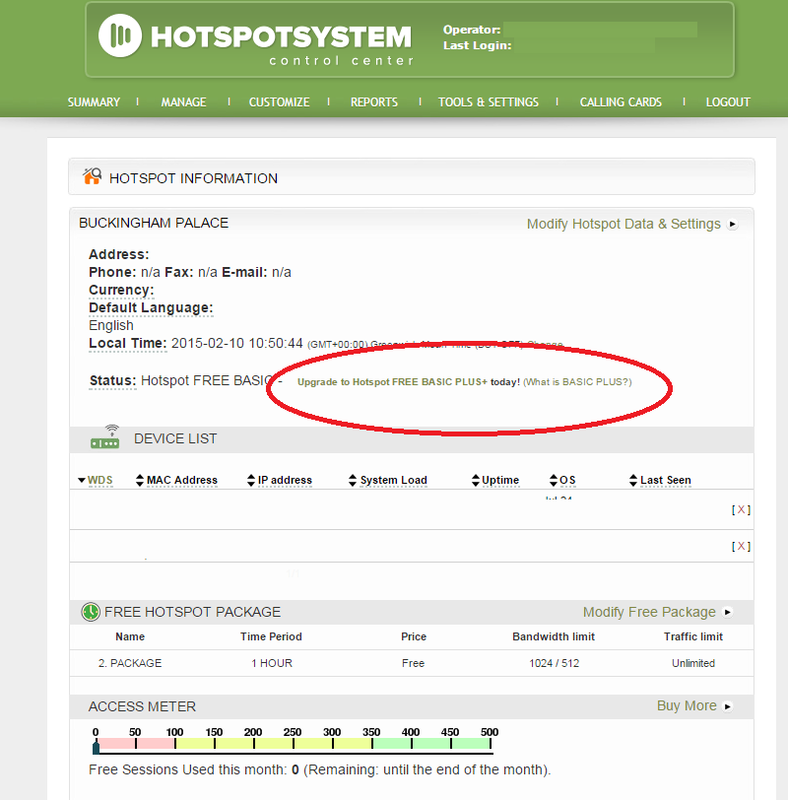 If you wish to go for the volume license just send an email to team@hotspotsystem.com and we’ll set up the payments.